From 1 April 2019, weekend bus service SL1 from Taman Ungku Tun Aminah (TUTA) to CIQ Second Link operated by Causeway Link will no longer be offered. The last day of service is on Sunday, 31 March 2019. With the withrawal of SL1, weekday bus service CW3S will be enhanced to operate daily. Commuters travelling between TUTA, Sutera Mall, Bukit Indah and CIQ Second Link can take CW3S instead. Bus timetable for CW3S remain unchanged. Take Causeway Link bus CW7L or JPO2 directly from CIQ Second Link. Note that JPO2 operates with a 3-hour interval. 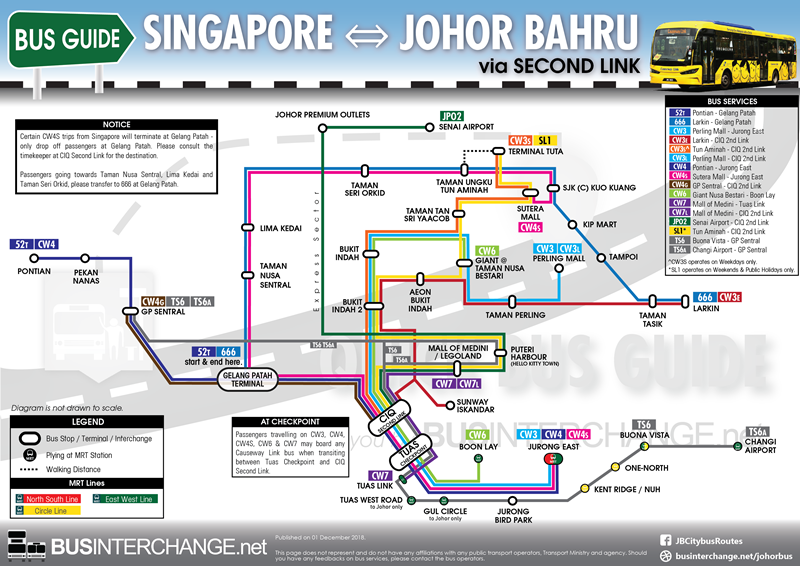 Take Causeway Link bus JPO2 directly from CIQ Second Link. 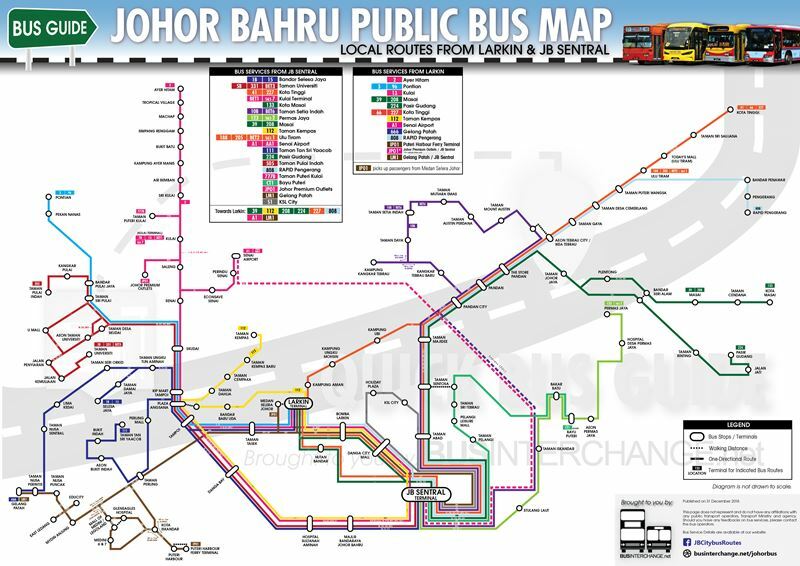 See route details of Bus Service JPO2. Take Iskandar Puteri Community Shuttle IP02 to AEON Bukit Indah. See route details of Bus Service IP02.